Today was absolutely magnificent. 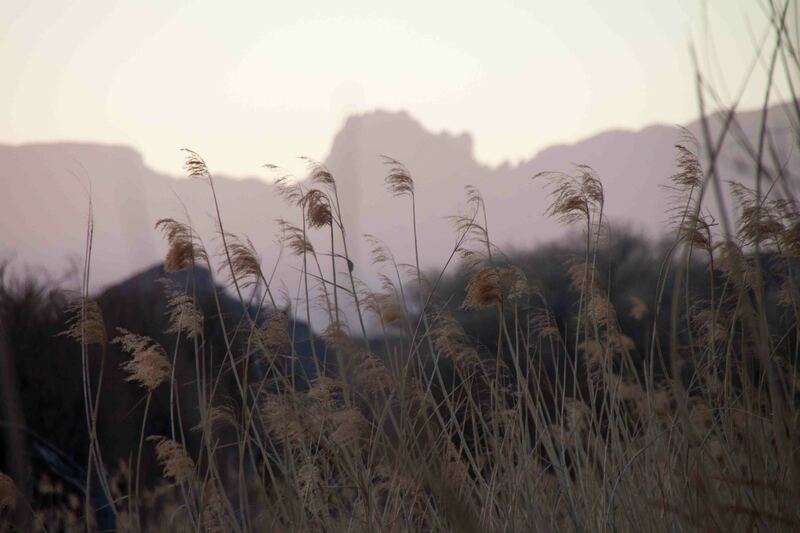 Fort Davis and Big Bend exceeded every one of my expectations. My friends can attest, that this is a very rare occasion, though I guess it helps that unusually, my expectations weren’t that high. 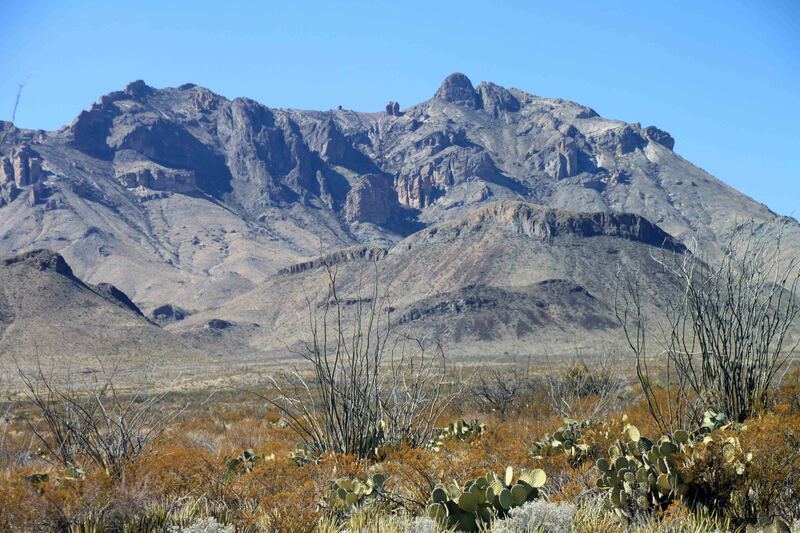 The southwestern, desert-like landscape in other areas has never been that appealing to me, thus I didn’t expect the Big Bend area to be any different. 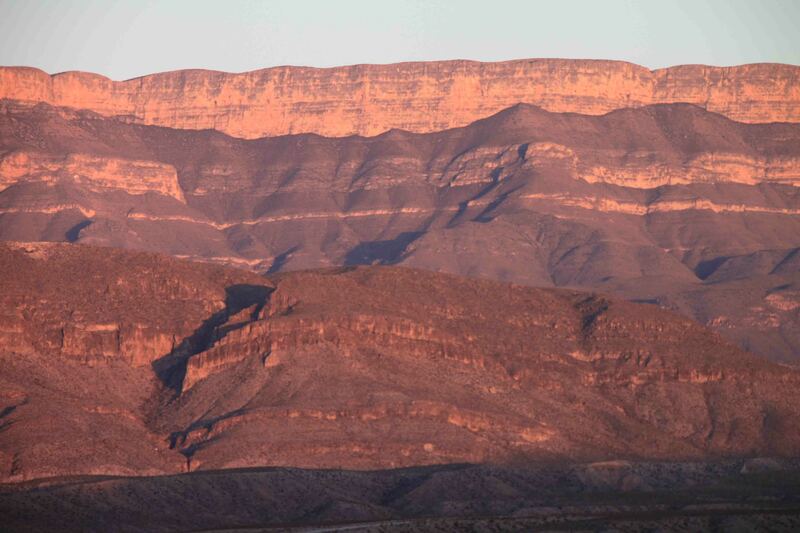 Perhaps it’s just because I’m proud to be a Texan, so I like Texas landscape regardless of what its appearance! 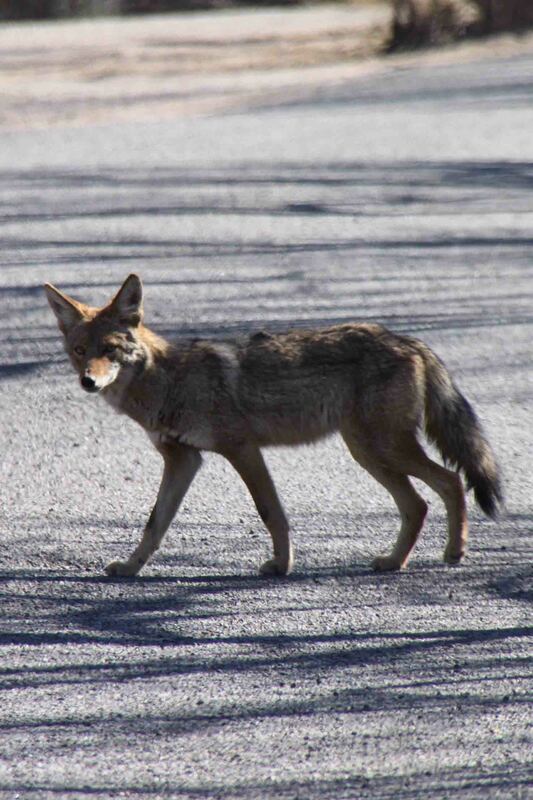 I took away one important piece of information from my conversation with the “full-timer” yesterday; Big Bend National Park doesn’t allow dogs on the trails, but he was uncertain about Fort Davis. This tidbit was enough to make me stop at the Fort Davis National Historic Site just to see if pets were allowed. Otherwise it would be a long two days for Petey. Most forts I’ve been to don’t allow dogs, so I figured it would be a long shot, but since full-timer didn’t recall seeing it posted I clung to hope. Surprisingly, Petey was allowed on the trails and in all areas of the fort except inside the buildings. We enjoyed an outstanding visit. 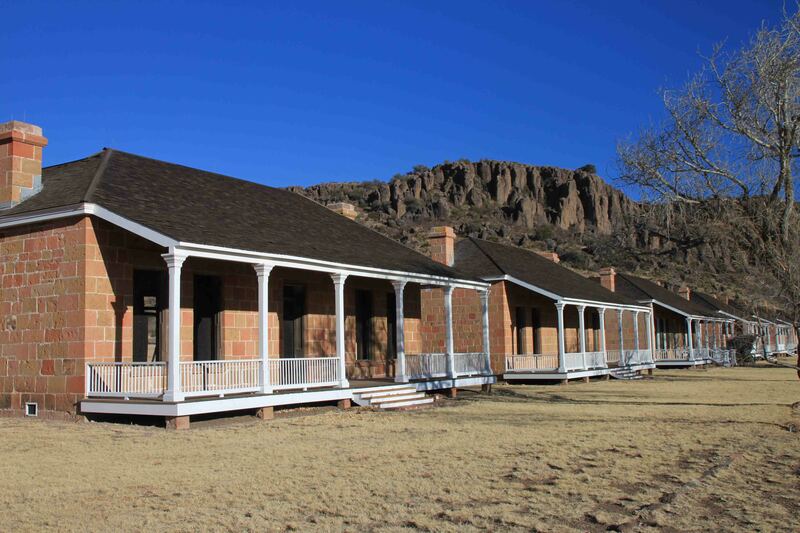 The original fort was established on the eastern side of the Davis Mountains in 1854 and named after Secretary of War Jefferson Davis. 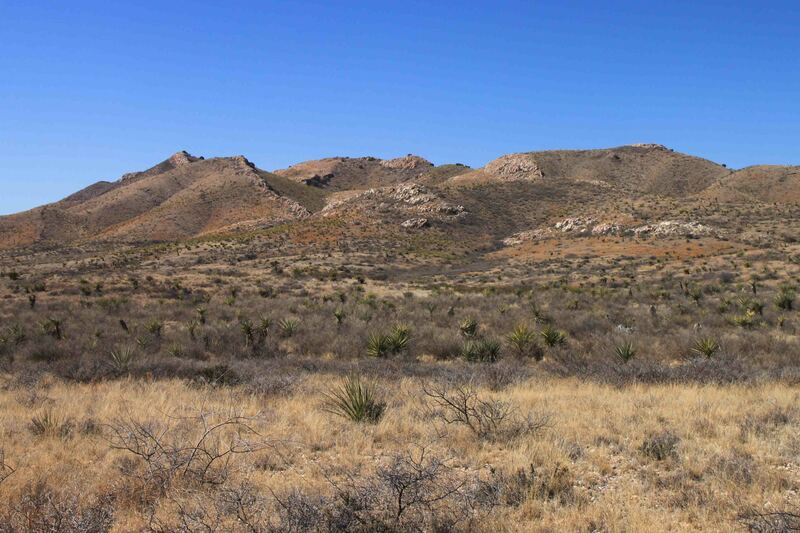 From 1854 to 1861 troops of the Eighth Infantry led by Lt. Col. Washington Seawell protected emigrants, freighters, mail coaches, and travelers on the San Antonio-El Paso Road from attacking Comanches, Kiowas, and Apaches. Upon the outbreak of the Civil War and Texas’s secession from the Union, the federal government evacuated the fort. The fort was briefly occupied by Confederate soldiers before Union forces took possession in 1862. The Union troops abandoned the post and the fort lay deserted for the next five years. 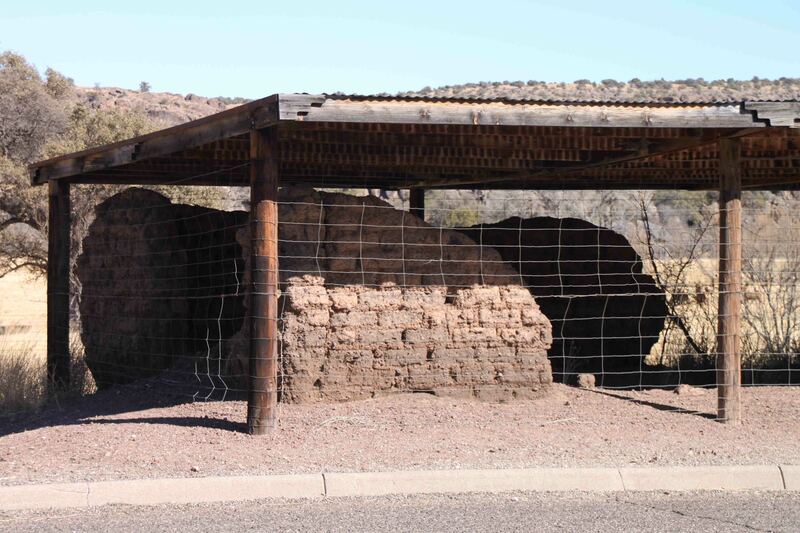 Few of the structures remained in 1867 when the Ninth U.S. Calvary reoccupied Fort Davis. 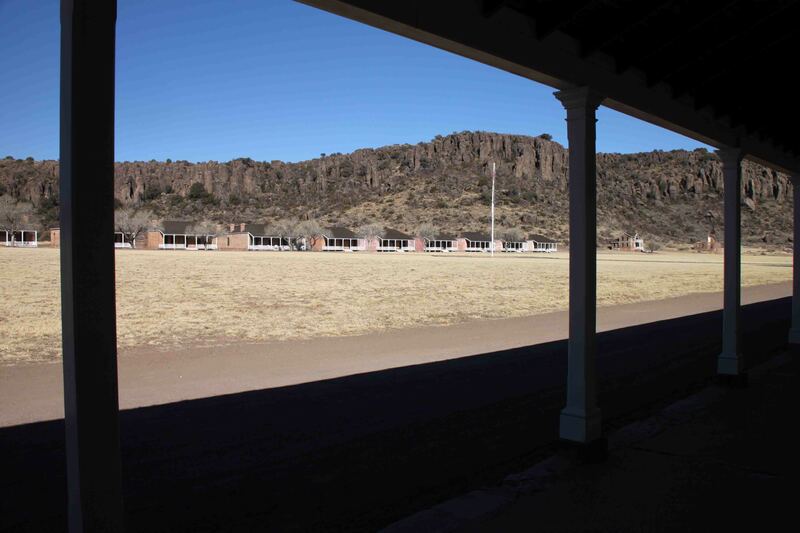 From 1869 through the 1880s, several new buildings were constructed and the fort became a mainstay to over 400 soldiers. 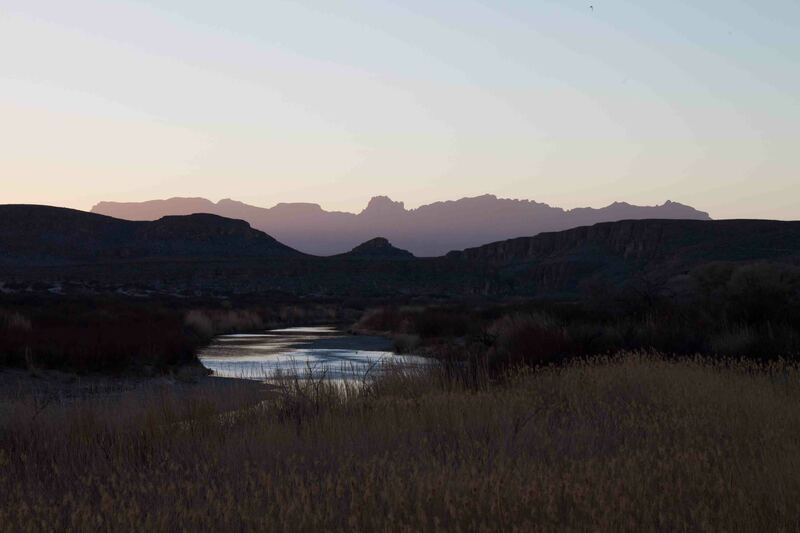 The soldiers continued providing safeguards to travelers along the dangerous San Antonio – El Paso Road and finally forced the Apaches and their leader Victorio into Mexico where they were killed by Mexican military. 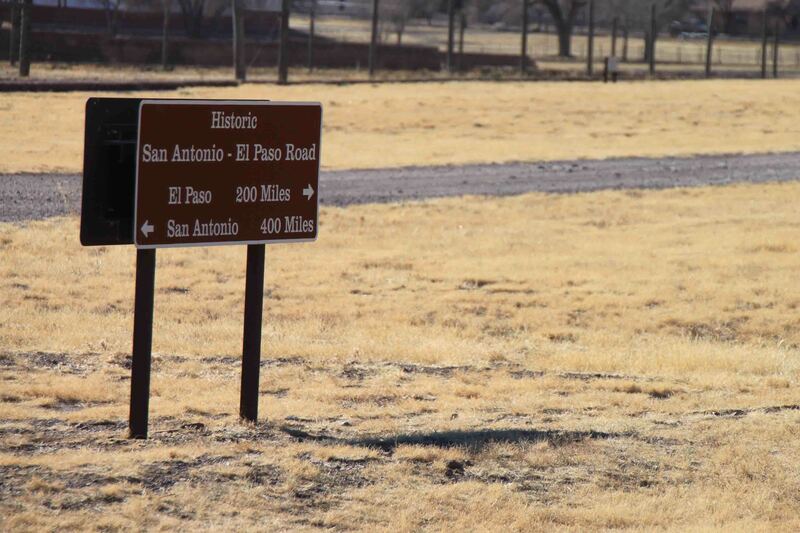 The end of the Indian Wars in west Texas combined with the army’s effort to consolidate its forces, left Fort Davis abandoned for the final time. 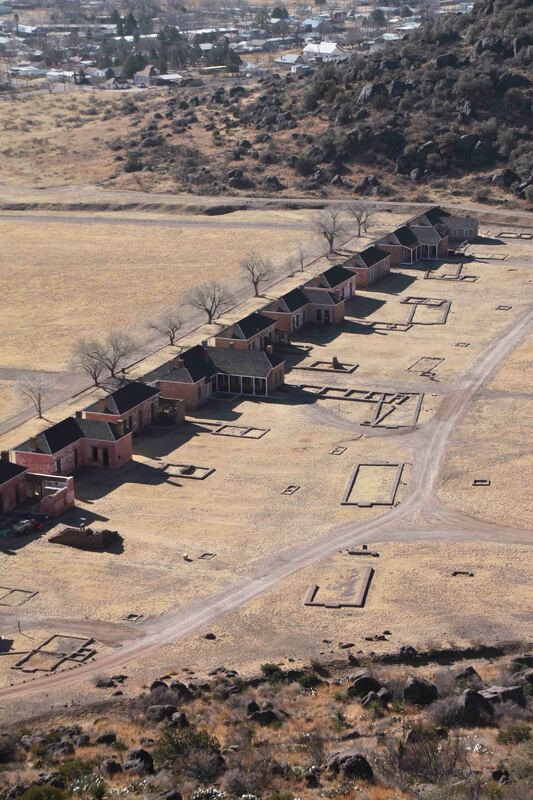 Today, visitors can see ruins of the first fort and restored buildings of the second fort. The combination of the two forts is quite intriguing. In addition, sightseers can follow the interpretive nature trail into the mountains and overlook the fort. 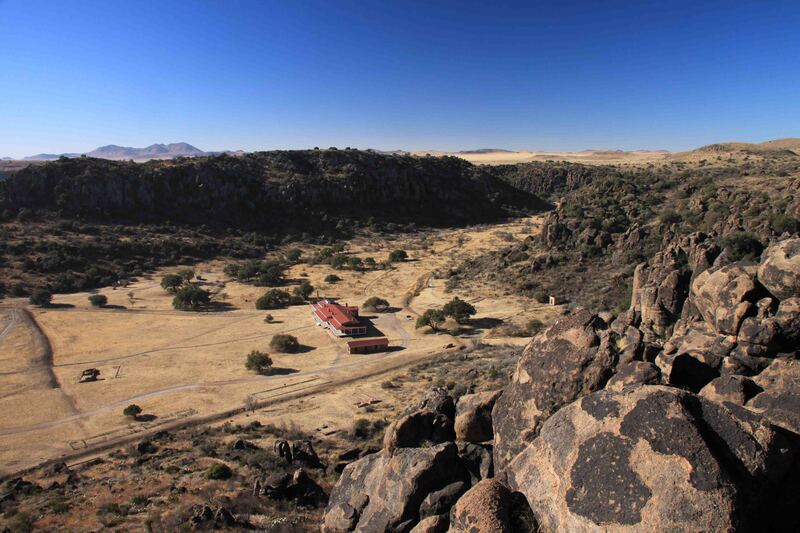 The weathered rocks towering over Fort Davis are lava flow known as rhyolite porphyry from 25-65 million years ago. The reddish stone used in the construction of the buildings was quarried from the Davis Mountains. After an awesome tour of Fort Davis and a beautiful hike in the mountains above, Petey and I moved on to Big Bend National Park. One the way, we stopped at a few historical markers. 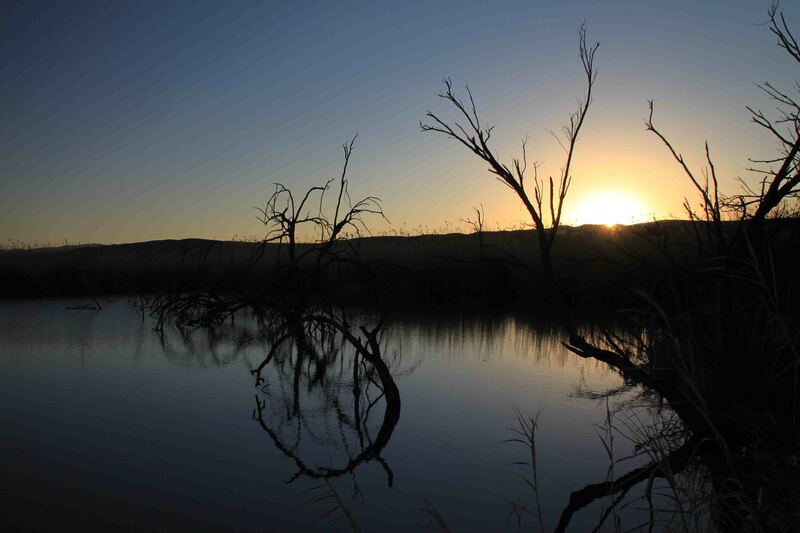 The first was the site of a ranch home owned by Manuel Musquiz, a pioneer who settled in the area in 1854. Abandoned due to Indian raids, the deserted buildings served as a ranger station intermittently during late 1880’s while the country defended itself against Indians and bandits. While at this spot, I happened upon a herd of approximately thirty elk. One big male was definitely a trophy for hunters, at least 14 points. 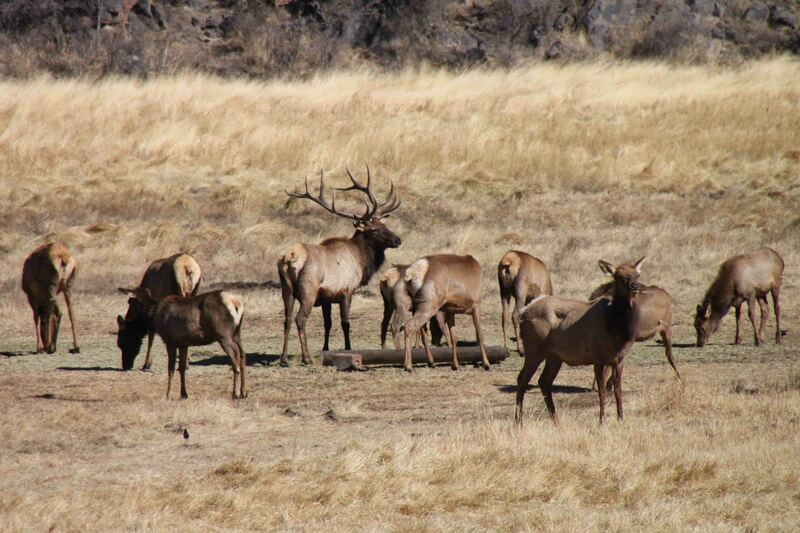 Knowing most of my hunting friends put in for tags in Montana, I was surprised to see elk here. Our next roadside stop was at Los Caballos where rocks in the Ouachita Fold Belt uplifted approximately 275 million years ago. 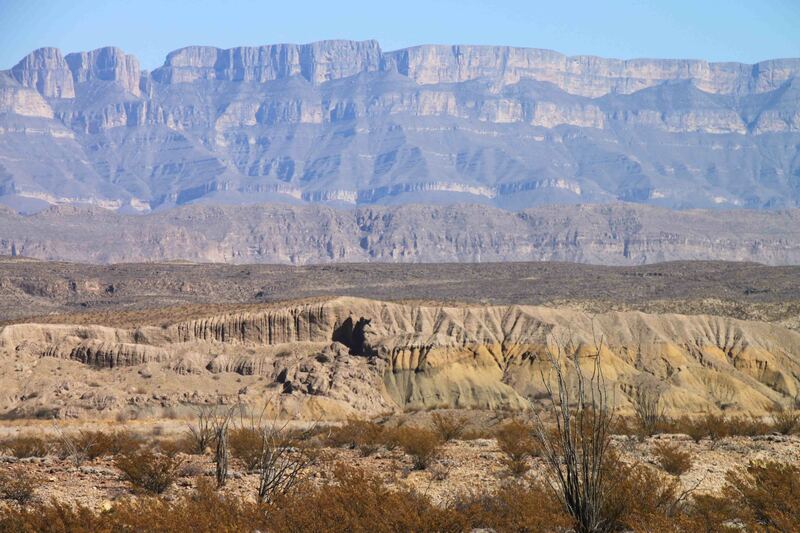 The folding is shown by the whitish rocks known as caballos. The Ouachita Fold is similar in age to the uplift that formed the Appalachians. 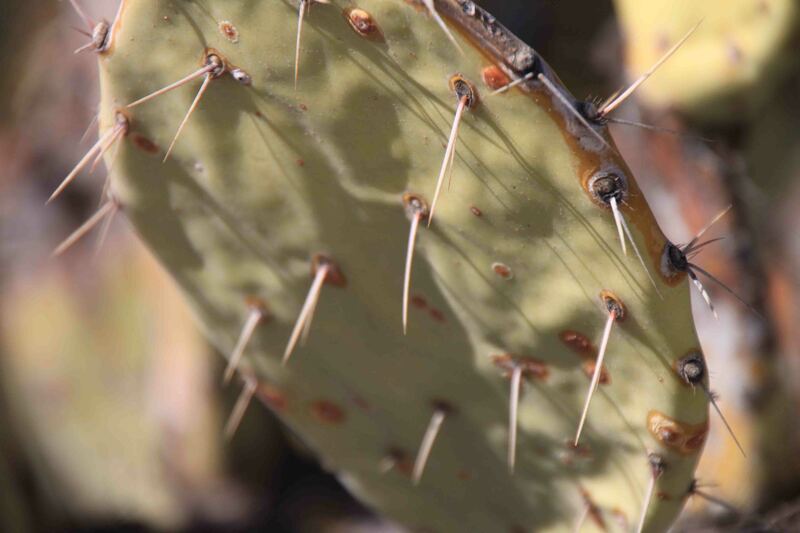 Beth, photos are great…you should see the cactus when they are blooming, the flowers are beautiful……. 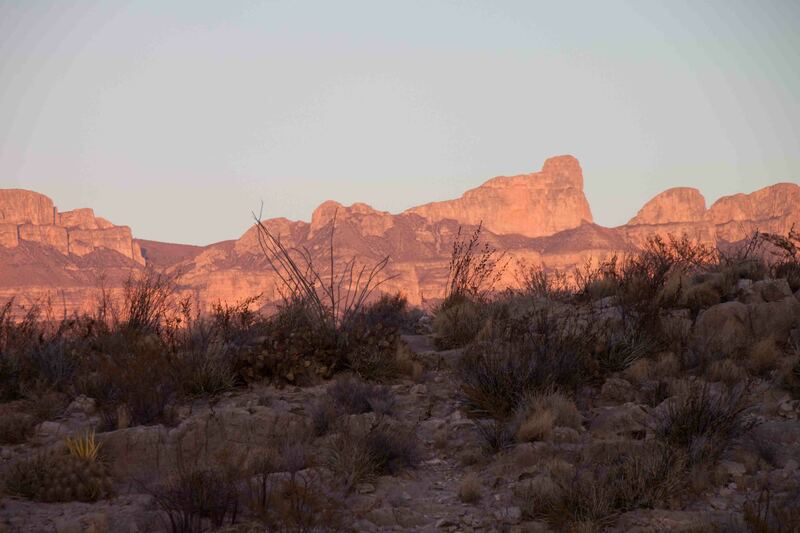 Sounds like you haven’t quite made it up into the Chisos yet, it’s too bad Petey can’t go with. Tony and I hiked up to the top of Emory Pk last time we were there. 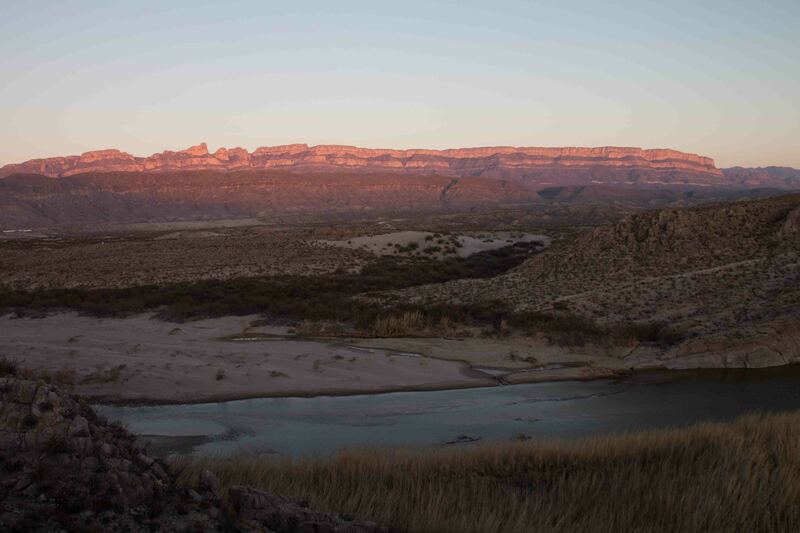 Views were incredible of Santa Elena Canyon and the area. The work crew we ran into sighted a mountain lion about 2 hours before we came through. It’s about a 4-6 hour hike though. WOW, I wish I was there with you. I now have a new addition to my bucket list! When do you plan on being in Ruidosa? An incredible post today! Everything looks gorgeous! Oh my goodness… these pictures are so beautiful. I’ve been to Fort Davis and the Davis mountains, but not the Big Ben National Park. We went north to the Carlsbad Caverns. Big Ben National Park is also on my bucket list. I´m proud to be a Texan! 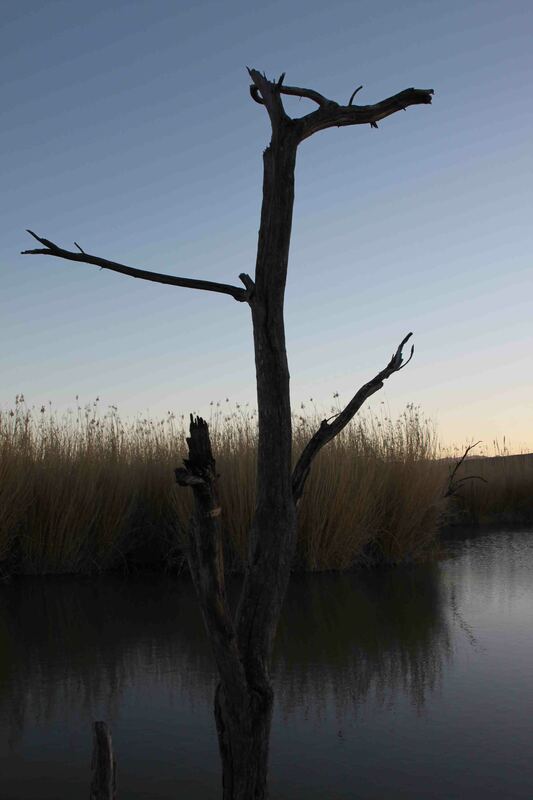 Beautiful country.